1. Set the color model on your project file to CMYK. A popular practice for designers is to set their project to CMYK after they’re done with their design and just before printing. However, this isn’t recommended. Doing CMYK conversions late in the project will often cause big discrepancies in the colors you use on the file before and after conversion. Of course, that is still a better outcome than not converting it and being surprised by prints with colors you didn’t expect. 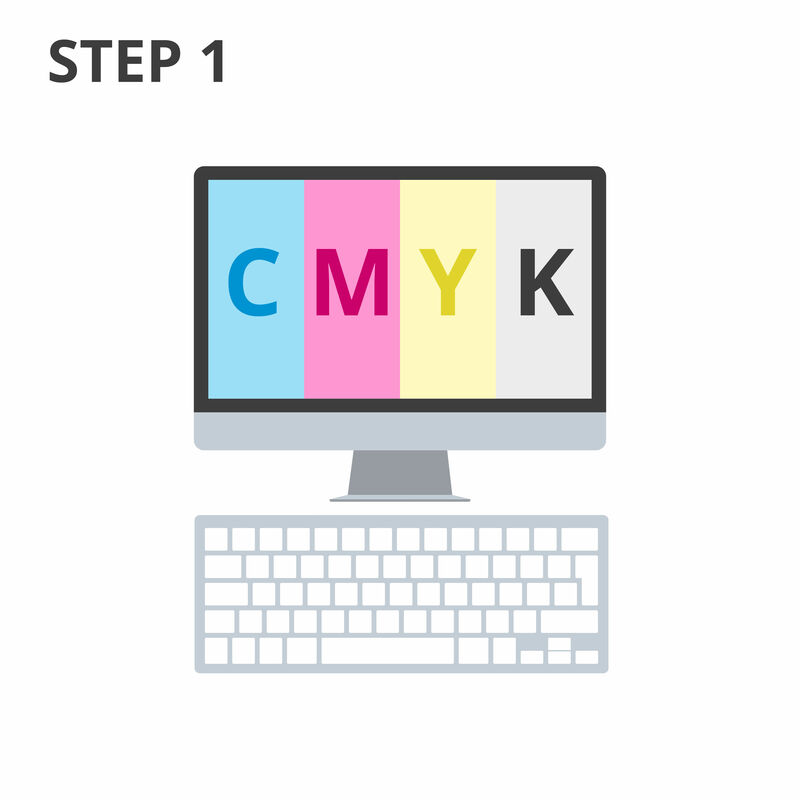 By starting a project in CMYK, you greatly minimize the differences in how the colors on your file appear on screen and in the final prints. 2. 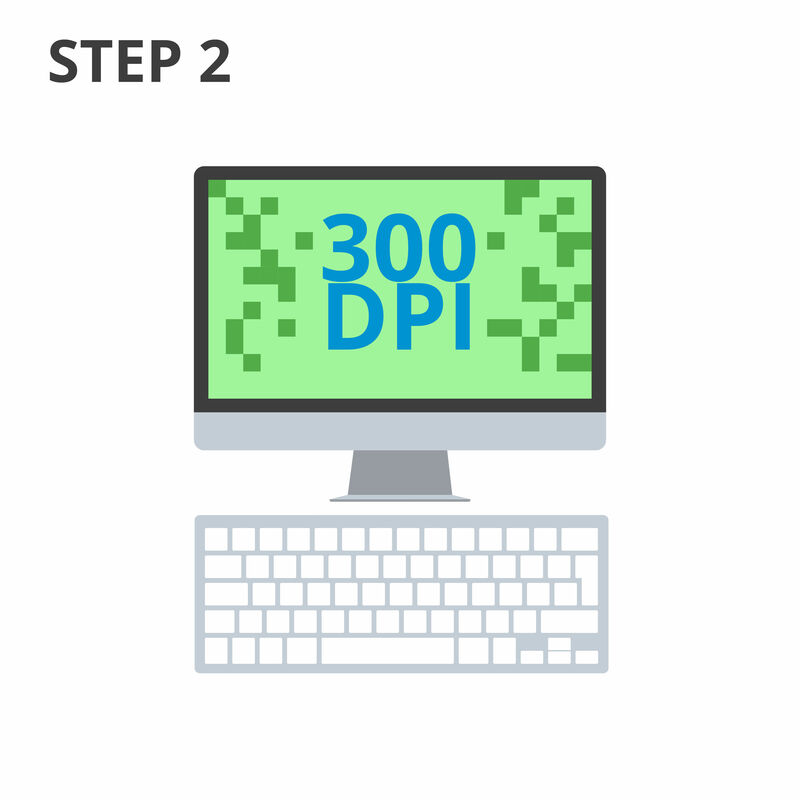 Set your print resolution to 300 DPI or higher. A DPI of at least 300 is a requirement if you plan to print with a professional printer, but it’s also recommended if you choose to use a home printer. Setting your print resolution to 300 DPI will instruct the printer to pack in 300 dots of ink per inch, which is an industry-benchmark for approximately magazine-quality detail in the final prints. However, if your images are low quality to start with, it won’t matter how high you set your DPI. Be sure to use vectors as much as possible in your image, as these can be resized without any loss in quality. Elements that can’t be vectors (such as photos) should be as high quality as practical. 3. Find the right templates for both the front and back of the flyers. Many online printing companies offer free flyer templates. Be sure to download templates for both sides of your flyers. While it might seem a bit superfluous, we recommend using templates for both the back and the flyers. This will help your printing service trim your flyers more precisely and prevent possibly important parts of your design from getting cut off. Templates are also crucial for folded flyers so you can more accurately design your flyers to account for the fold. Not using a template might result in your flyer fold landing in an awkward part of your design. 4. Design your flyers using a template as a guide. 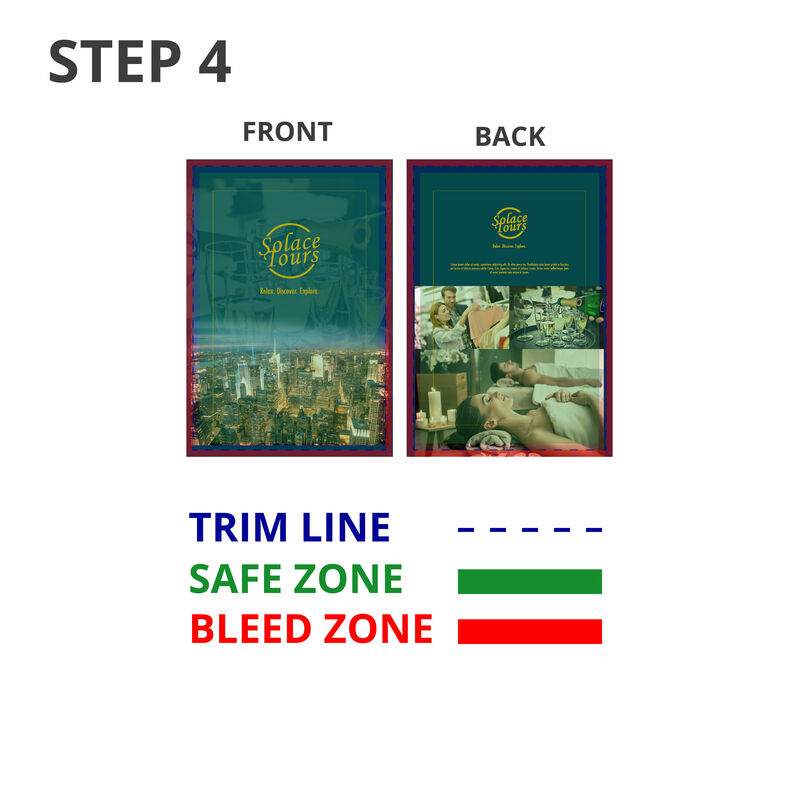 Use the the appropriate template as a layer on your design to easily check out the bleeds, folds, and trims. 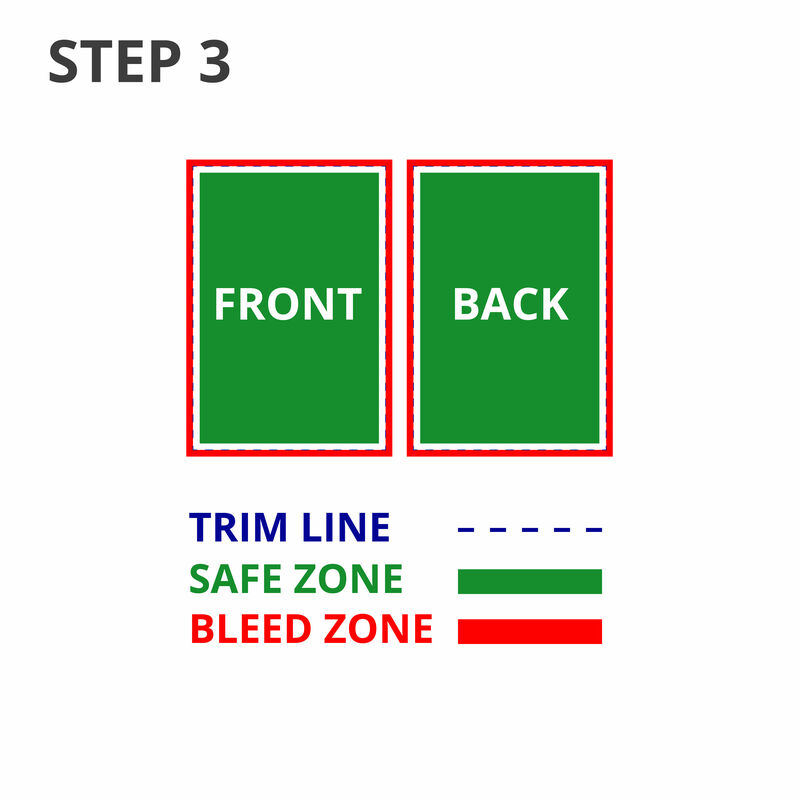 Avoid putting any important design elements outside the bleed lines, and you should be mostly set. Be sure to use the correct ones for the front and back of your flyer design. Congratulations! As soon as you’re done with your design, your flyers should be immediately ready to print. You can upload and have your project files print as-is at this point. However there is one more step you could take. Bonus: Ask for a print proof. In many cases, you can ask for a PDF proof of your flyers after uploading your files. A good professional printing company will often have a team that checks your flyer project files to ensure everything is correct. Requesting a proof may push back the turnaround time, so be sure to read through your printer’s policies to better understand the impact this might have on your flyers. Did you find this helpful? Contact us.